I remembered the first time I had Xiao Long Bao, it was in this particular Crystal Jade restaurant and till today, the vivid memory of my awkward fumbling of these delicate art pieces still haunts me. Due to my virgin experience and ignorance, I didn't knew the existence of a small pouch of soup wrapped beneath the thin, delicate dumpling skin. At that time, I sucked at using chopsticks and the way I picked things up - it's to poke them. Things happened and my lovely Xiao Long Bao was ruined. Xiao Long Bao (S$4.80 for 4) was glorious. 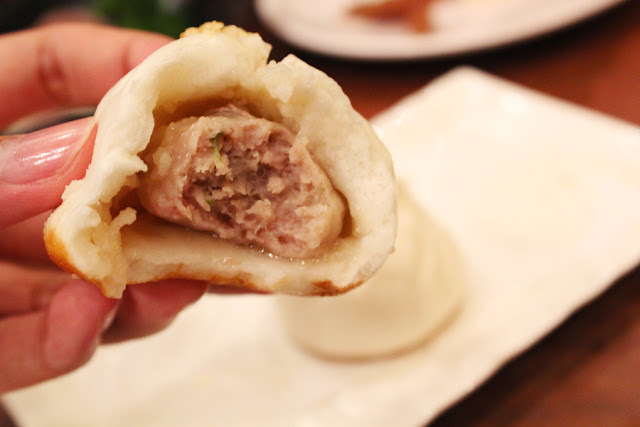 The dumpling skin was just right and the broth complemented the juicy minced pork meat. Mother Kook called me stupid for not eating it with vinegar (which I don't, I detest the smell), but let me tell you that this beauties go well without vinegar and shredded ginger too. Just do not make the same mistake as me. Pan Fried Pork Bun (S$4.00 for 3) does not lose out. 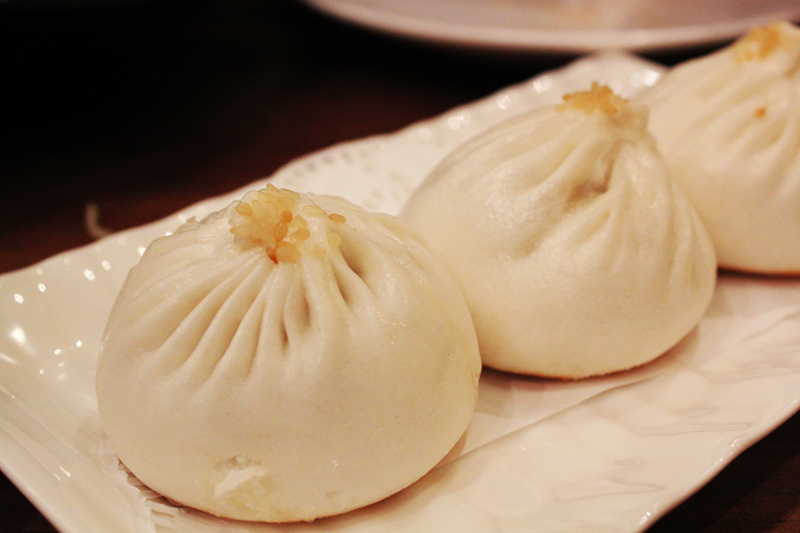 Sink your teeth into these soft fragrant bun and savour the succulent fillings. I thought this yummy buns look like the classic Meat Pao, but just pan fried and upgraded like four levels up. Salted Nanjing Duck (S$8.50) was a tad hard for my liking. 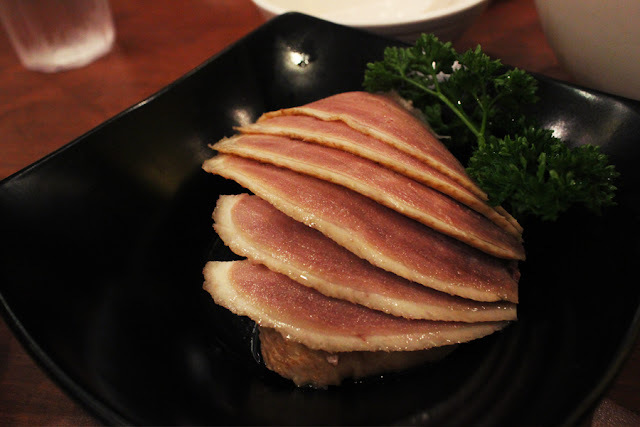 Nevertheless, these beautiful duck slices were luscious with a thin layer of fat. Just look at the soft pinkish-red meat! However, I always preferred eating duck drenched in Chinese braised sauce, so this does not appeal to me much. 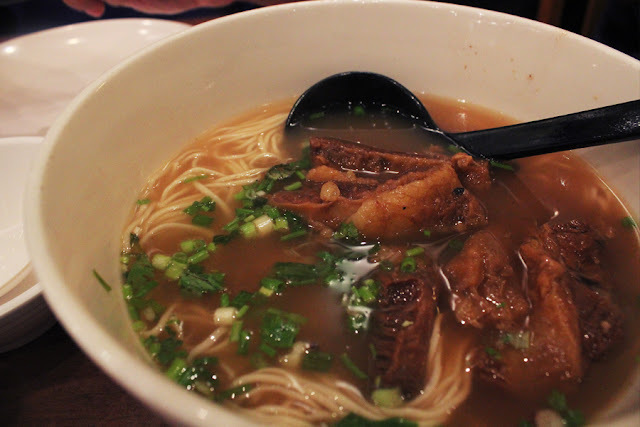 Lastly, we had Crystal Jade speciality La Mian with Braised Beef (S$8.50). The beef was so tender and juicy, especially the tendons, which I totally love them. (while girlfriend finds them fross. 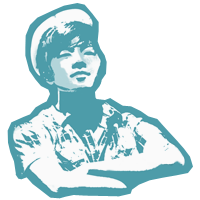 Weird.) Their speciality noodles were definitely one of the best in Singapore, with the spot-on chewiness. But what I wanted to praise most is what holds this entire dish together - the broth. Thick brown soup made of long-simmered ingredients, it brings forth a subtle sweet and herbal aroma that makes you want to devour this dish. Besides ala-carte, Crystal Jade (Holland Village) also presents a South-Northern buffet experience which includes steamboat and a huge variety of appetizers, meat, drinks and dim-sum. 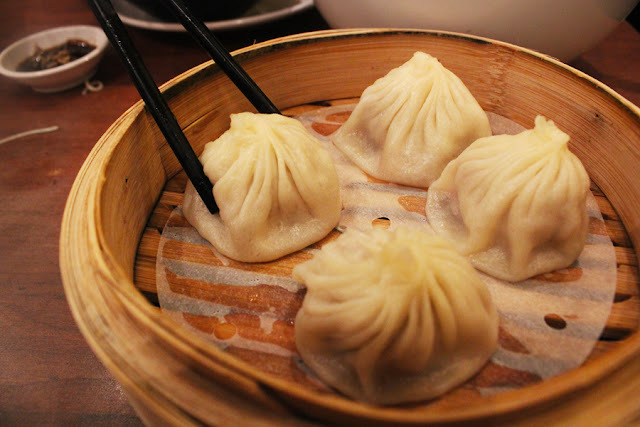 The best part is that you get all the Xiao Long Bao you can eat! A very useful tip - do your reservations! Walking in for the buffet guarantees near 0% you can get a table at dinner hours.